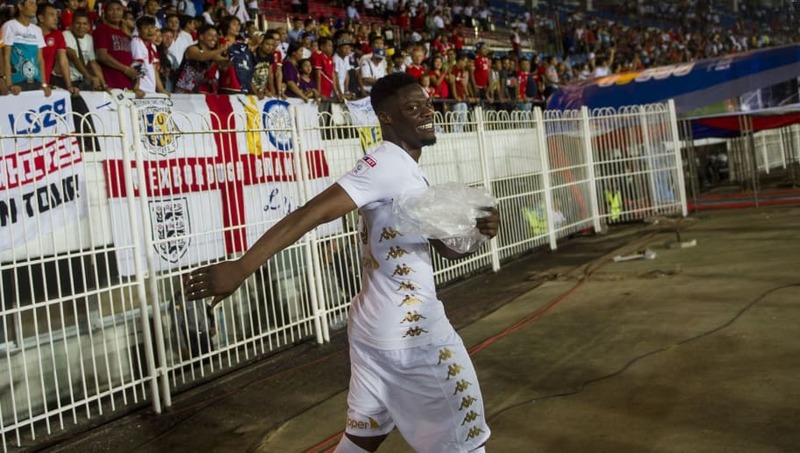 Leeds loanee Caleb Ekuban has insisted that he will not discuss his future at Trabzonspor until the end of the season, casting doubt over whether his deal at the Turkish club will be made permanent. Ekuban made the season-long loan move to Trabzonspor from Leeds in August for an initial fee of £170,000. There is an option to make the deal permanent​ for an additional £860,000 at the end of the season, but the Italian-born forward has raised eyebrows in a recent interview, leading some to question his future at the club. As quoted by ​Fotospor, he said: "I’m not interested in my future at the moment, I am only focusing on playing as many games as possible until the end of the season. After that, I will think about what to do next". After scoring just one goal in 20 appearances for ​Leeds, Ekuban has been a regular in the Trabzonspor team, scoring four goals in 21 league games. The first of these came on his debut in a 4-0 win against Galatasaray, which delighted the fans of his parent club, who still maintain a rivalry with the Istanbul side. The Trabzonspor frontman recently received his first call-up to the Ghanaian national team, just three months before the country is due to play in the Africa Cup of Nations. It may come then as no surprise that Ekuban is remaining tight-lipped over his future, as he makes the step into international football. After the weekend's round of games, the striker's focus will now switch to international football as he will want to stake his claim for a place in the Black Stars' squad this summer. Perhaps explaining his decision to remain coy on his future, the Ghana forward will be aware that impressive performances for his country this summer could attract interest from some very big clubs.